This is a tough list to compile as not everybody wants the same thing out of a Las Vegas Casino visit. 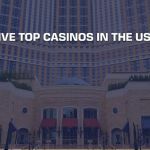 Some are there purely for the gambling, some just for the entertainment these huge resorts have to offer, and some come for the food, the clubs, the pools, or the sheer opulence of some of these hugely impressive establishments. 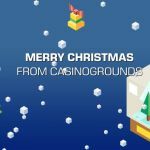 But as we’re all about the gambling grind here at Casinogrounds I have bumped some up the list that might otherwise not have made it based on the reputation and quality of the opportunities for top-notch gambling! Just off Las Vegas Boulevard and smack bang in the middle of the strip, Aria will not only meet your gambling needs but will put you right at the heart Sin City’s never-ending action. Not that you ever really need to leave the ultra-modern resort which counts over 4,000 rooms and suites and offers its guests everything from a golf course to an 80,000 square feet Asian inspired Spa, 16 restaurants, 10 bars and clubs, a vast pool deck with multiple pools and cabanas, a multi-million dollar art collection, and just about every super-star pop or rock artist you can name. Enough of all that guff though, what does the Aria Casino bring to the table (excuse the pun) for the gamblers? Well, 150,000 square feet of prime gaming space for one. Much of that space is dedicated to our favourite form of gambling, the slots, with almost 2,000 individual machines to choose from. Arias slots suit all bankrolls too, costing as little as a single penny up to a lofty $5,000 per spin. Spin incidentally is the name of Aria’s high roller slot area which caters for the serious players and features not only mind-bogglingly expensive slots but also its dining area, restrooms, lounge. Aria also features some 145 table games including numerous Blackjack and Roulette variants, Baccarat, and Pai Gow. 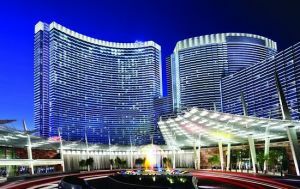 Aria is also becoming more and more well known for their 24 table Poker room. 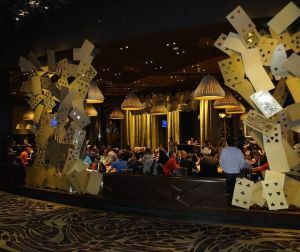 As well as various limit tables for casual cash game players, Aria host daily tournaments from $140 entry, but also most many weekly high roller tournaments which can cost between $25k-$50k to enter. 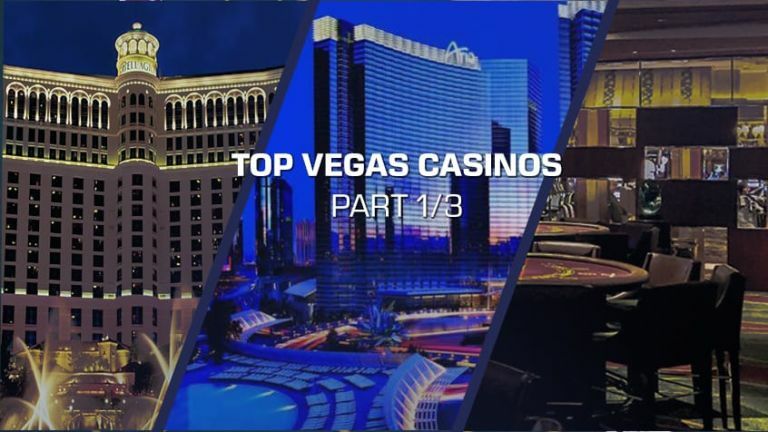 They also play host to some of the biggest televised cash games in the world, as well as annually hosting the Aria Super High Roller Bowl which has a staggering $300,000 buy-in and a $6m first prize. For sports betting fans, Aria boasts a wall of 90 HD screens – some of which are a huge 220 inches – for you to watch and wager on practically any sporting event you can think of. Jewel Nightclub – Often voted the best nightclub in the whole of Vegas (and that is saying something), Jewel takes opulence to a whole new level with its granite VIP banquettes with leather upholstery and enormous doubled-sided LED video screens that sync with the music. Part of the famous Hakkasan Group, Jewel offers 24,000 square feet of decadence, world-class DJ’s and good times. The Bellagio is undoubtedly one of the most famous Casino and resorts on the strip, not least because it was the main location for 2001’s star-studded casino heist movie, Ocean’s Eleven. When it opened back in 1998 on the site once occupied by the legendary Dunes Hotel & Casnio, Bellagio was the most expensive hotel ever built at $1.6 billion and it is instantly recognisable due to the presence of the world famous “Fountains of Bellagio” in front of the main entrance which perform dazzling displays synchronized to music to huge crowds on a daily basis. Naturally, the Bellagio with its 3,000+ rooms and suites also has more than its share of restaurants, bars, pools, and clubs as well as the obligatory luxurious spa and salon. It also houses one of Las Vegas’s best art galleries, “Bellagio Gallery of Fine Art” which has showcased works by the likes of Picasso, Warhol, Van Gogh, and Monet among others. 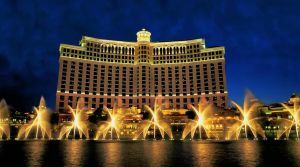 Bellagio also boasts a permanent residency for Cirque Du Soleil’s aquatic phenomenon “O”. As to the gaming floor, well there’s no shortage of action there either you won’t be surprised to hear. 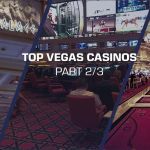 They have a whopping 2,300 slots including some progressive jackpots which regularly go into the many millions of dollars. Bellagio also hosts some of the best Slot Tournaments in town with prizes of up to $2million. Bellagio are also famed for their table games, putting aside plenty of space for the usual suspects (roulette, blackjack, craps, pai gow, 3 card poker, baccarat etc). It’s their Club Prive that is the real jewel in their casino crown, however. Bellagio’s high limit lounge is exquisite in its design, opulence, and exclusivity and features a speakeasy-style bar serving a selection of hand-picked world-renowned spirits. Onto the poker room and Aria might have just about eclipsed them for the time being, but Bellagio is still a monster of a poker with 40 tables and two high limit areas covering 7,000 square feet where you can play just about any variant of the game you please for just about whatever stakes. 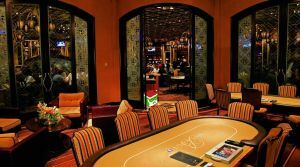 Bellagio is also the home of “Bobby’s Room”, the most iconic and famous of all the high stakes poker rooms named after Poker Hall of Famer, WSOP Champion and MGM Resorts International Chief Design and Construction Officer, Bobby Baldwin. With regard tos their racing and sports book offering, Bellagio house a 5.6k square foot venue with 99 individual monitors including several huge screens for both racing and sports. Bobby’s Room – Ok so you may not have the bankroll to enter this most hallowed of high stakes Poker rooms where the likes of the legendary Doyle “Texas Dolly” Brunson play for hundreds of thousands of dollars on a daily basis. With its glass wall,s you can still witness first hand some of the game’s biggest stars trading blows forlife-changingg sums of money. “0” – By all accounts “O” is one of Cirque Du Soleil’s most ambitious and popular shows and has been in residence at Bellagio since it opened back in 1998. Fountains of the Bellagio – Featuring in the most iconic of Bellagio images the huge dancing water fountain is housed within an 8 acre lake between the building and the Las Vegas strip. Fountain performances entertain thousands of visitors on a daily basis.